A spotting scope is made to serve users the purpose of birding, landscape viewing, and hunting. They are almost like a telescope. But one thing that can make someone easily say that they are not for astronomers is that they are smaller in size and are used during the daylight. They are also waterproof and fogproof. Spotting scopes if not for their sizes can be mounted on a rifle because they do not have many differences from the traditional riflescope except that they are more extravagantly sized. They are mainly used with the help of tripods which gives it support to the ground enabling the user with an ease of having to lift the mass weight scope each time it is in use. In this brief article, I will be discussing some tips for using a spotting scope. And also one of the best spotting scope for hunting. Spotting scopes have good quality glasses just like every other scope. Generally, spotting scopes are higher powered than most riflescopes and binoculars. Some spotting scopes are 20-60X with an 85-millimeter objective lens. The bigger in diameter, the better, because this will give you a very bright image. A large objective lens such as the 85 is going to give you a huge exit pupil that will be very bright in low light conditions. So if you are out there in the field hunting in the early morning: whether you are looking at hogs or the buck, this lens is going to add more power to it and make it comfortable looking through. One of the great deals to consider about spotting scopes when buying is the size and weight. If you are going on a backpack or going on hiking or hunting, do you think an 85 diameter lens size will be the actual answer that will get you the maximum support and less weight that you might need? Have you ever thought that it might be bulky and somehow will become very weighty as time pass by in the middle of your adventure? I know you will agree with me. For this reason, some of the spotting scope manufacturers have decided to make a spotting scope with about 50 millimeters in the lens diameter. And with the magnification power of 11-33X which makes the larger ones more superior. But then, with such an average or less in weight spotting scopes, you will find it very comfortable packing in your backpack and taking it wherever you think it might be useful to you. You may notice that many spotting scopes are angled. Although, almost all spotting scopes manufacturer will offer you an angled version and a straight version. This may start bothering you. You might start having noise in your head in which to buy, Which is better and which is more durable! The truth is that they are both great when it comes to glassing. The same high-quality optic lenses, waterproof and fogproof. The difference of one being straight and the other angled depends on individual choice. Some people may want to choose the angled one because it works better for them while others the straight one. But one thing I know for sure is that with the angled spotting scope mounted on the tripod, it is easier for anyone with any height to look through it without having to adjust the height on the tripod or just some little adjustment that will do. But they are also more difficult than the straight ones when trying to spot and locate an animal from a distance. The straight ones are good if someone is sitting in the car and some other places like that. It is also easier than the angled ones in spotting animals from a distance. This does not mean the straight one has a unique lens that the angled one does not – no. It means that the angled one might be little difficult to some people at getting used at the beginning. Different spotting scopes have different focus mechanisms. The dual focuses are really nice especially on the high-powered spotting scopes and in low light conditions when you are looking for some details. Some spotting scopes with 85 diameters have a large diameter lens on it. An example of such may include Vortex 20-60X85 Razor HD Spotting Scope. The objective lens of this scope serves as a window, and it allows a lot of light through it. Spotting scopes allow you to use a higher power. Why this is important is that when you increase the power, the exit pupil gets smaller. The beam of light exiting the spotting scope as you increase the power gets smaller. Typically, for higher power spotting scopes, you will need a higher objective lens, so keep that in mind. Also, the dual focus is a great feature. Another important thing when using a spotting scope is that you should either move is horizontally or vertically. If you move it to the left, try to look through everything within the circle. The shades, every little object and after then you can move it to the next area. When glassing at prime time, early in the morning or late in the evenings (prime time), you should be faster, and that is the key. If you go really super slow, you should know that these animals are up moving from their bedding and their feeding areas and this is the reason I suggest you glass faster during the prime period. 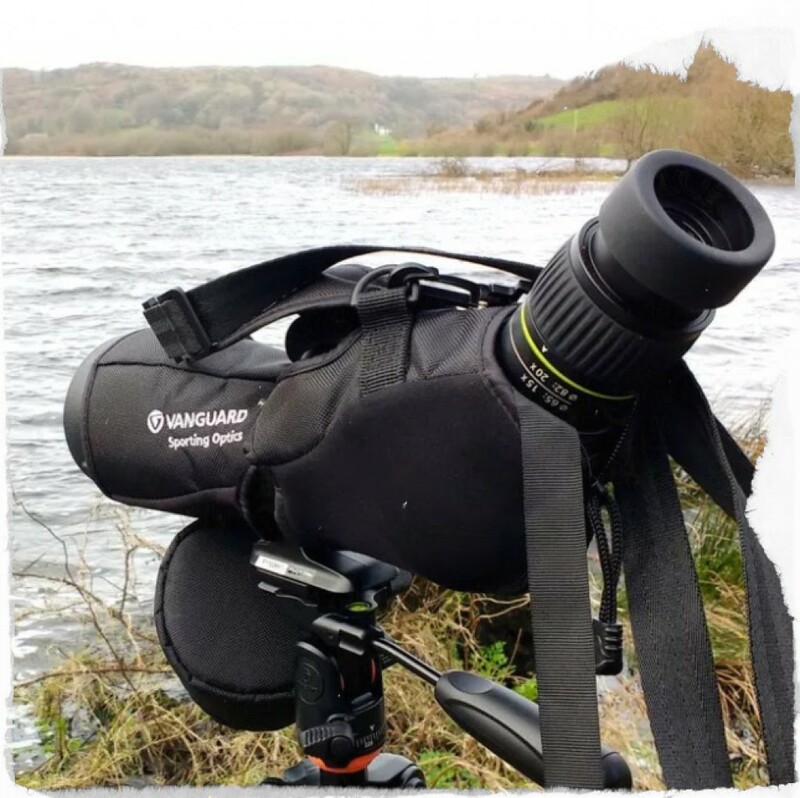 Whenever you wish to get yourself a spotting scope, do not forget to also include tripod stand to your budget because spotting scopes cannot be comfortably used without a tripod stand. 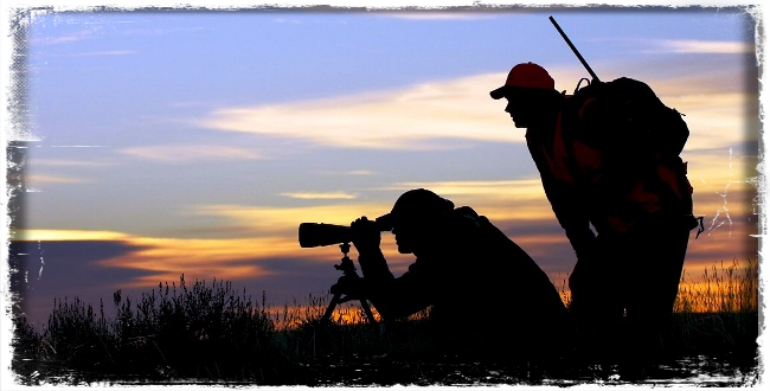 So now that you have known the tips for using a spotting scope, go out to nature and enjoy the beauty of it.